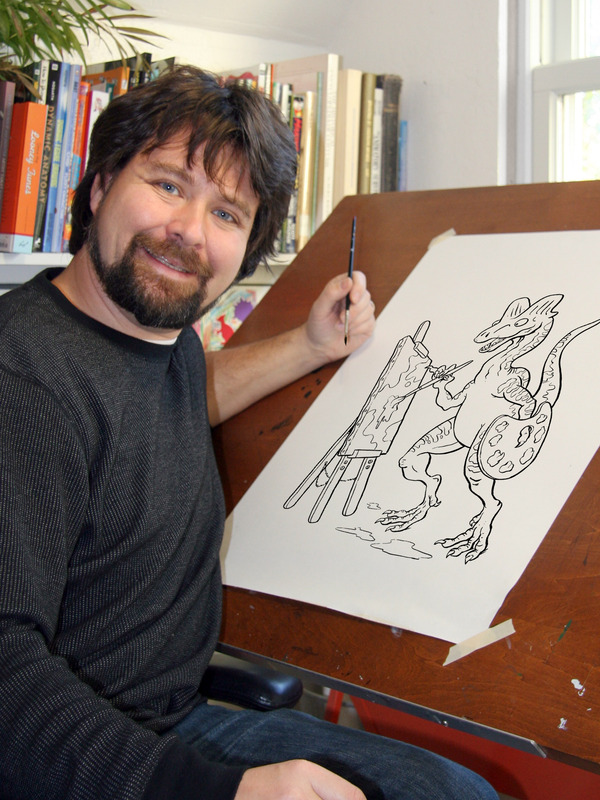 Hi, I’m Chuck Whelon, the author of a wide variety of internationally distributed children’s puzzle and activity books, including the popular “What to Doodle?” Series for Dover Publications. More recently, I have illustrated a series of search & find titles for Buster Books in the UK, including ‘Where’s the Penguin?‘, ‘Where’s Santa?‘ and ‘Where’s the Princess?‘, all of which have been translated into multiple languages, with US editions coming soon from Simon & Schuster’s Aladdin imprint. I write and draw the monthly “Dr. 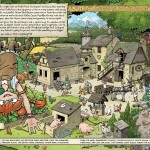 Dig” comic strip for Cricket Media Group’s ‘Dig’ magazine and produce cartoons for Goodman Game’s ‘Dungeon Crawl Classics’ series of RPG books. 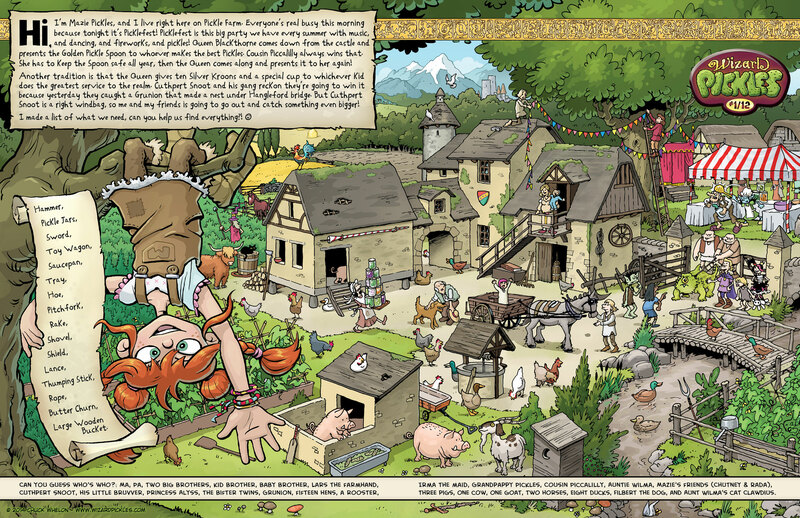 I am probably most well-known on the web as the creator of the long-running humorous fantasy webcomic serial “Pewfell“. I also designed and illustrated the comic boardgame “Legitimacy” published by Minion Games. I’ve illustrated a number of other games for Minion, including ‘Those Pesky Humans‘, ‘Grave Business‘, ‘Tahiti‘, ‘Nile‘, & ‘Battle Merchants‘. I was born and raised in Basingstoke, England and now live in San Francisco, California. I am a member of the National Cartoonists Society and the Society of Children’s Book Writers and Illustrators. I am represented by the Beehive Illustration Agency.